As a local Louisville Commercial HVAC, we proudly offer a full range of HVAC services. Not only do we carry out repairs, but we also offer installation work. We can also design a maintenance program specifically for your business, so that we can help to prevent any major problems from happening. 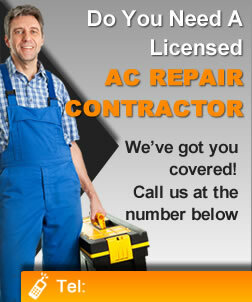 With our well skilled professionals, we have the ability to service any commercial HVAC appliance. Our comprehensive mechanical service include equipment repair, device replacement as well as protective and complete-service repairs programs customized to ensure the correct life span and preventive maintenance of your commercial equipment. Call us now for your custom, commercial HVAC solution. We can change or improve your building’s machinery to optimize the center performance guaranteeing best efficiency from your equipment. Whether you have one building or many sites, we can evaluate your energy requirements and can suggest, set up, and examine a broad range of energy-saving options with qualified commercial professional available 24/7/365 days. We can take care of that! Long-lasting equipment, low replacement cost. Less breakdowns, implying less cost for repair services. Clients get top priority on emergency services. Our commercial clients always go to the head of the line. So whatever commercial HVAC issues you may have at your Louisville office, please give us a call, and we’ll be happy to discuss any projects that you have in mind. If you’re looking for a trustworthy Louisville commercial HVAC services please feel free to call us at (502) 964-7916 and ask for a free estimate for all your commercial and residential needs. We look forward to serving you!